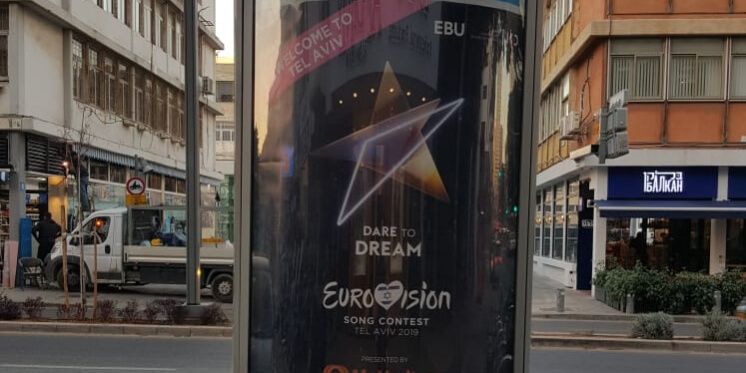 Tel Aviv started branding and decorating it's streets and public spaces with Eurovision posters, as the city prepares to host Eurovision 2019. The decoration includes the new "Date to Dream" theme, with it's recently-revealed golden star logo. Tel Aviv also decorated it's beach promenade and one of it's main streets ("Ibn Gabirol") with Eurovision flags and banners. The city also updated it's "Eurovision Frames", with the new Eurovision branding. The frames are located near the "Manta Ray" restaurant and the Ha'Pisga Garden (located in Jaffa, the old part of Tel Aviv). The city is working on further Eurovision decorations and brandings, as it prepares to for "The Big Celebaration" of Eurovision.